Goals: To migrate the existing eCommerce store to Magento and facilitate the data integration with a custom backend system. 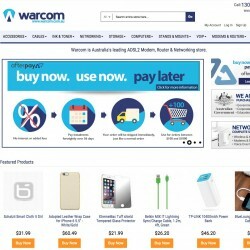 Warcom is “Australia’s leading ADSL2 Modem, Router and Networking store”. 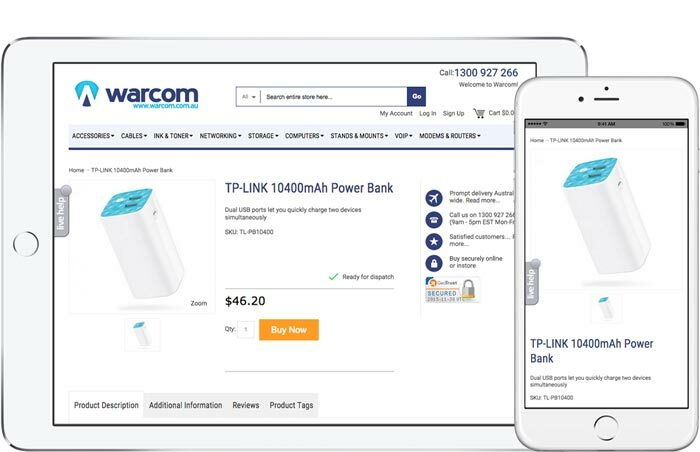 Owned and operated by ASX listed eCommerce Company Shoply, Warcom is a destination for computer hardware for B2B and B2C customers. The website was previously built on a proprietary platform and required migration across to Magento. 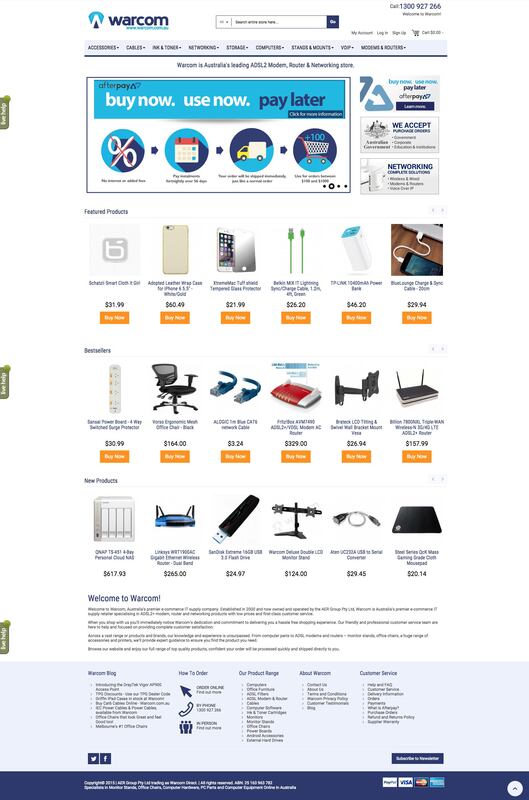 Curata redesigned and and built the site on Magento 1.9. The website integrates with a custom backend handling order, customer and product data. The backend integration was performed by Shoply’s backend dev team, facilitated by Curata. The new Warcom site features a responsive design and is hosted on a custom AWS stack with enterprise level source control and deployment environment utilising Git and Capistrano. The project was successfully completed in 10 weeks.